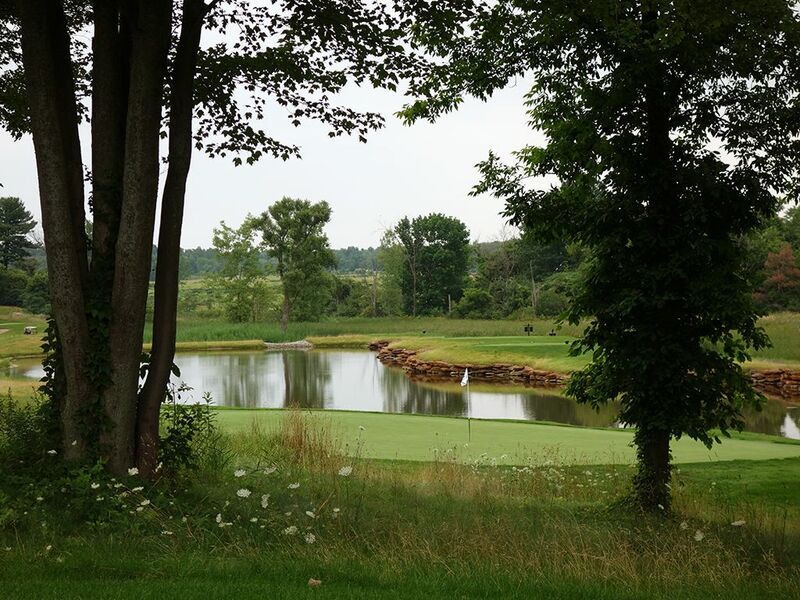 Course Website: Official Website - Visit Shenendoah Golf Club at Turning Stone's official website by clicking on the link provided. 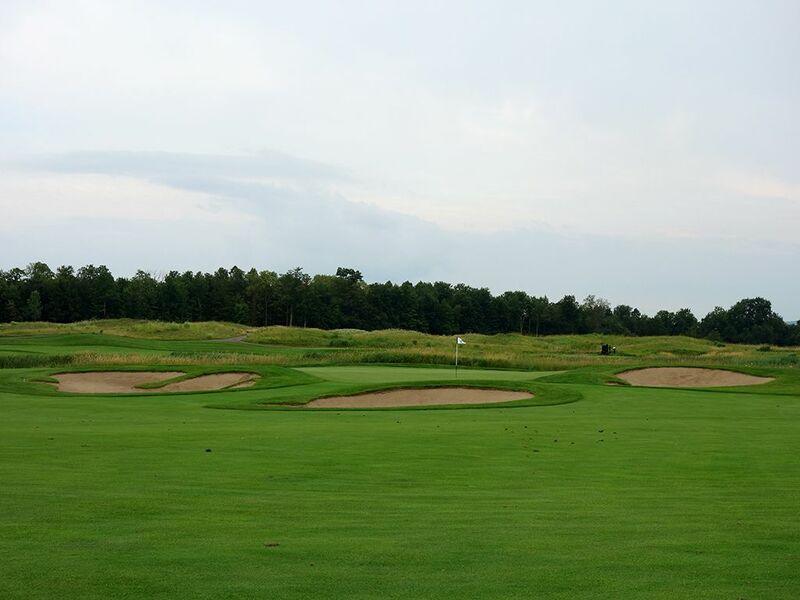 Accolades: Ranked 18th in New York on Golf Course Gurus' Best in State rankings. 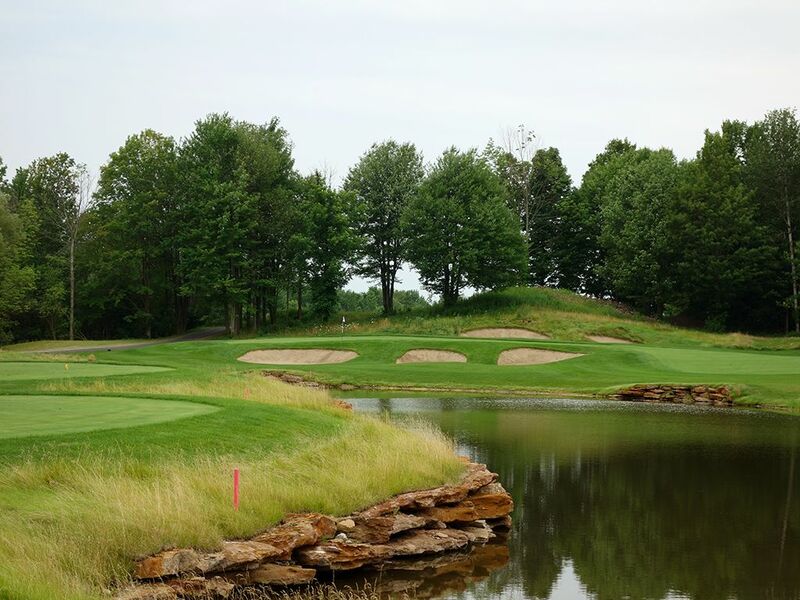 What to Expect: Shenendoah was the first of three 18 hole courses laid out at Turning Stone Resort and was crafted by Rick Smith. The less hyped course at the resort is a nice combination between the forgiveness of Atunyote and the variety of terrain at Kaluhyat which creates perhaps the most overall fun track. 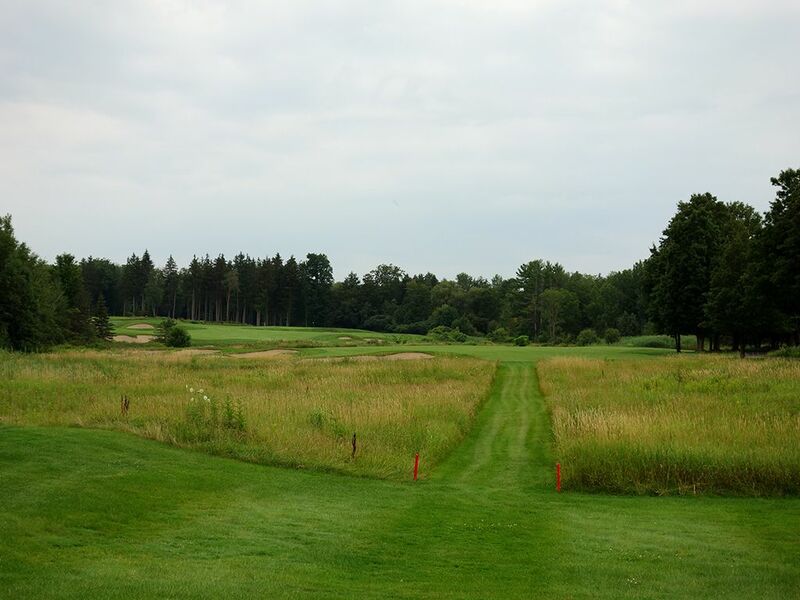 In 2016 the course received a renovation to allow for expansion of the resort which resulted in the addition or alteration of seven holes but the course flows as if it was the original routing. The course goes through some wetland areas, treed areas, and open vista spaces that create a memorable setting to enjoy. Conditioning isn't as good as Atunyote but is certainly kept in good shape. 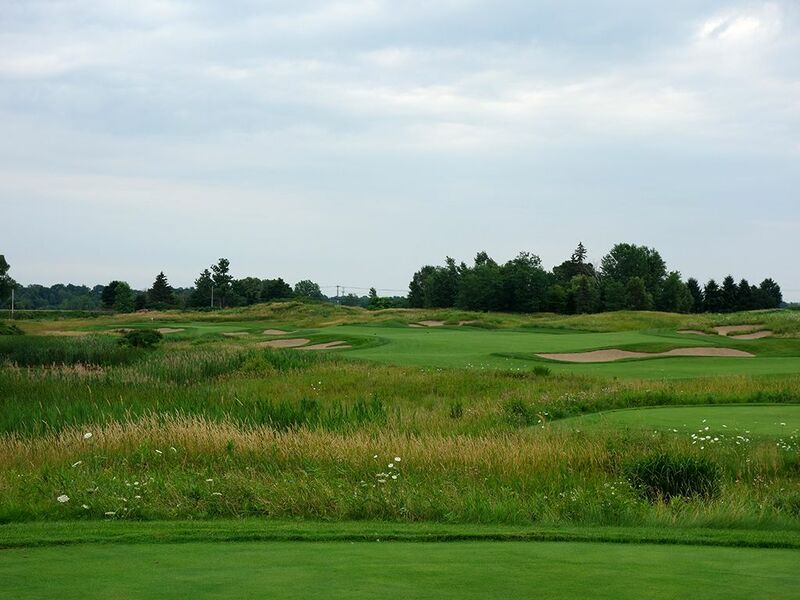 Ultimately I'm surprised Shenendoah doesn't receive more accolades because I think it is the second best course at Turning Stone and offers the most enjoyable holes. Signature Hole: 14th Hole – 168 Yard Par 3 – The hole you'll want to pull out your camera on is the scenic one-shot 14th. Playing over water, the front of the green and the tee boxes are supported with an attractive rock wall that offers some color contrast to the bunkers, water, and grass. A trio of bunkers front the green and a large bunker flanks the rear so distance control is critical when attaching this putting surface that is 25 yards at its maximum. Best Par 3: 9th Hole – 186 Yards – The front nine closes with a one-shotter named Tamarack due to the large evergreens that are featured on this hole. A forced carry over a wetland area is required to find the green which is bordered on the left by a large bunker. When the pin is on the right you can be aggressive in your attack, but when it is on the left there is less green and more trouble in play to contend with. This is an attractive hole and a great way to finish out the front. Best Par 4: 7th Hole – 364 Yards – The yardage may read 364 yards, but a tee ball going straight at the green needs to carry just 240 yards to clear the marshland and leave a short chip to the putting surface while a 285 yard bomb may result in an eagle putt. This is a great risk/reward element considering going for the green bring four bunkers and a ton of marshland into play while playing safely to the right affords plenty of fairway and a good approach angle. Wildlife is commonplace on this hard dogleg left as the variety of plant life in the marshland creates an attraction. This is just a fun hole with great options. 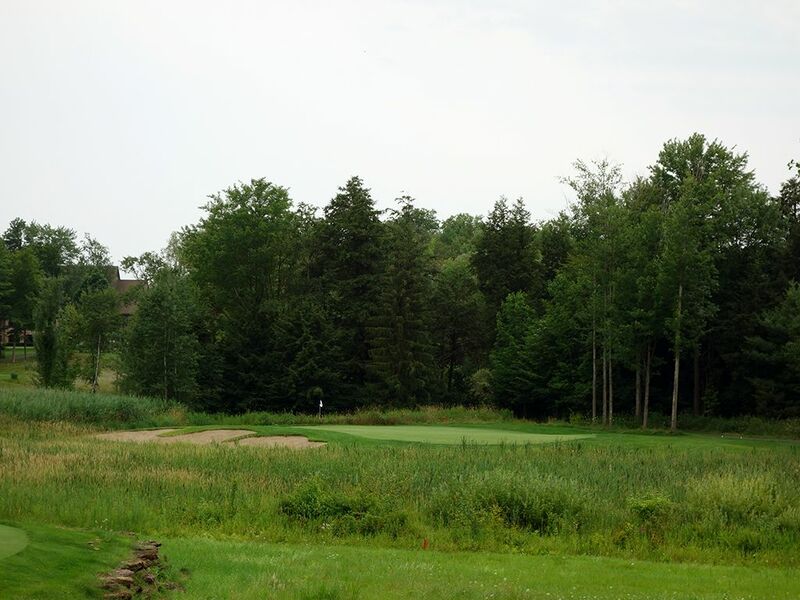 Best Par 5: 18th Hole – 553 Yards – The closing hole at Shenendoah is one of its most memorable. 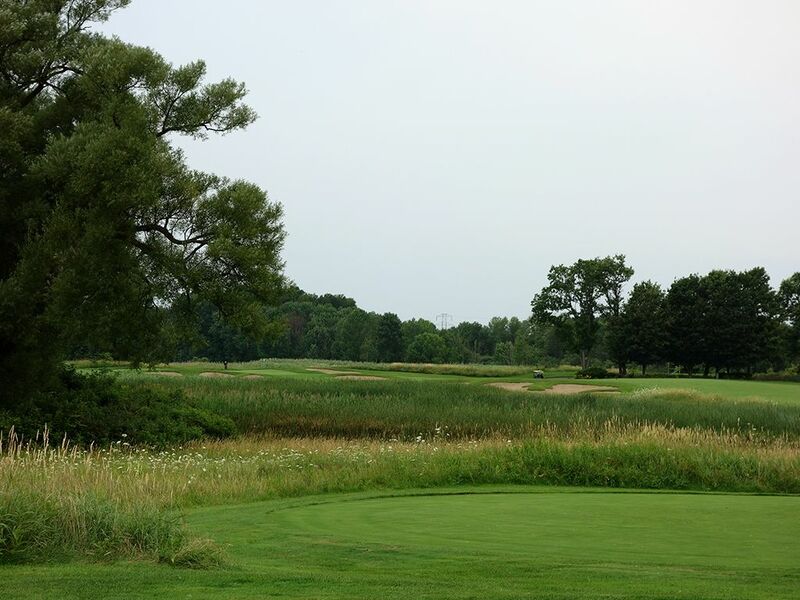 Named "Apple Orchard" due to the apple and pear orchards that add to the landscape, the 18th features two fairways since the first one is terminated in a strip of grassland. 235 yards from the green players will have to carry the grassland to the second fairway where a fade is called for in order to utilize the slope left of the green. A half dozen bunkers come into play along the way which if successfully avoided can result in a birdie to finish your round on. Birdie Time: 16th Hole – 291 Yard Par 4 – Some holes are a missed opportunity if you don't card a birdie and some are just a catastrophic failure; the 16th is the later. At less than 300 and playing downhill the entire way, this hole is begging for you to take advantage of it. A draw off the tee will follow the shape of the fairway and split the bunkers that are in play and can result in an eagle putt. Even if you don't want to try and drive the green, a 200 yard lay up off the tee will leave you a flip wedge into a receptive green that is 38 yards deep. The chance of you having a birdie putt on this hole is very high so taking a stroke back from Old Man Par is almost more of a likelihood than a fortunate opportunity. 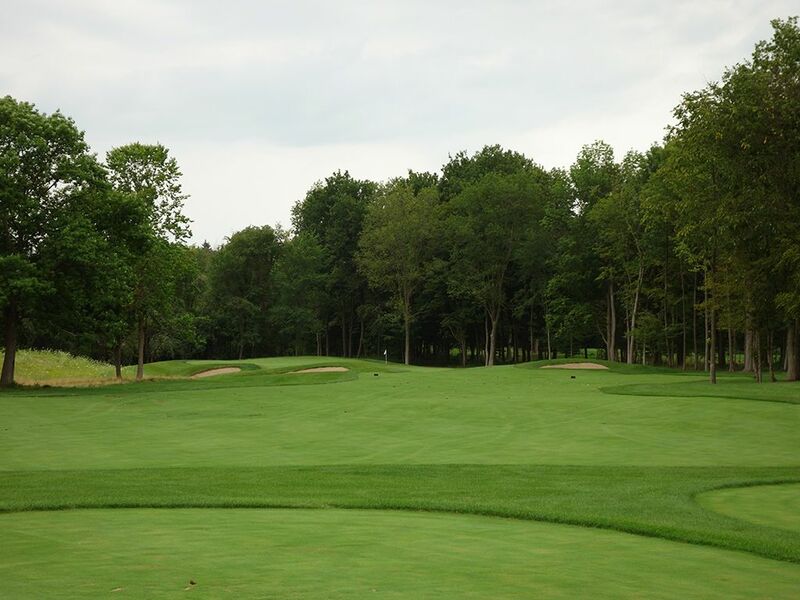 Bogey Beware: 6th Hole – 452 Yard Par 4 – As is so common the case, midway through the front and midway through the back is when the toughest holes rear their heads and Shenendoah is no different. The 461 yard 13th is a brute and could certainly qualify as the Bogey Beware hole, but it is the 452 yard 6th that ends up claiming the title. The tee shot plays over a center bunker and must land in the fairway between the bunkers found on each side of the short grass. Wetlands frame each side of the hole so any shots that track wayward outside the rough will likely be a donation back to the course. The approach shot plays to a green that is angled away from the player so that hitting the green is a difficult proposition unless playing from the far right side of the fairway which also creates the longest distance home. The wetlands tighten up to the playing area the closer to the green you get and a deep bunker looming left of the putting surface. Bottom line, there is no room for error here if you plan on avoiding bogey.